We are experienced elder law attorneys located in Vancouver, WA. We can help guide you in ensuring your family members are legally protected. Families with aging relatives are faced with a number of difficult issues regarding decision-making and protection of their well-being, health, and finances. Our attorneys are available to investigate instances of elder abuse, and bring appropriate legal action if necessary. It is essential to draft the appropriate documents and instructions before your aging family members are unable to be a part of the process. Some methods are not available once someone becomes incapacitated. We encourage you to consider the following types of elder law arrangements, so that we can help you structure these important details. Medical and health care procedures. The guardian has a duty to make decisions that are in the best interests of the ward, and is will be held to a high standard of accountability. 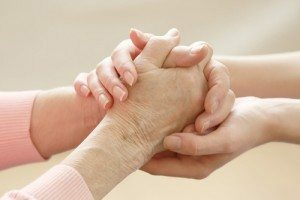 If you have a family member who is unable to care for themselves, then you may want to consider a guardianship to safeguard their welfare. We can help you with the petition and will represent you in any court hearings. One of the most critical aspects of aging is making sure that you and your family members have finalized their estate plans, through the use of wills or trusts for distribution of their assets. These legal instruments generally must be created while the individual is capable of making decisions on how they wish to convey their property to heirs. If this is not taken care prior to death, then the distribution will be made according to state statutes. Northwest Legal Advocates, LLC can assist you with creating an estate plan that reflects the wishes of you or your family members, and minimizes any delays in transferring property. In some instances, it is possible for a family member to anticipate future health problems, and they may wish to create a power of attorney in case they become unable to make health care decisions for themselves. Often referred to as a living will, this document gives another person the authority to make decisions based on specific instructions surrounding the limitations and types of care they prefer. Without this type of instruction, medical professionals may not have much latitude in changing levels of care, medication or life support. A power of attorney is usually limited to the specific named purpose, and is not as broad as a guardianship appointment. Learn more about Durable Powers of Attorney for Health Care. Finances and health care are the chief concerns of elderly family members, so it is important to anticipate their needs and seek the legal counsel that can give you practical and informed advice. Please contact our elder law attorneys for a consultation so that we can begin the discussion of how to care for your family in the future.